As part of launching a New Top Level Domain (a new Internet Extension like .moe) we are required to provide brand users with the ability to register their trademarked names before the general public (this period is called a Sunrise). With only one week remaining in the Sunrise phase, we’re really excited to share that brands like Facebook, Linkedin, Apple, Google, and even Chanel have registered their very own .moe domain names. If you have a trademark, you’ll have the opportunity to secure your name first, before the general public has a chance to register, but you’ll have to act quickly as the window will be closed on June 13th. Once the trademark-exclusive Sunrise phase ends the .moe domain will be available to everyone for priority registration. This priority registration period (called a “Landrush”) is an early access period that will allow users the best opportunity to secure the names they really want. We’ll take in applications for available names and allocate them at the end of the period. If there are multiple applications for a name we’ll put the name in an auction and let you sort it out with your competitors. This will ensure that the user who really wants the name the most will have an opportunity to out-bid the other party. 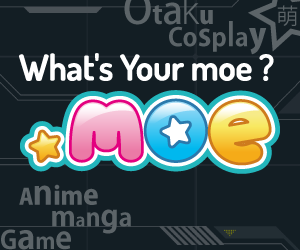 We’re really excited about launching .moe to the public on June 17th and expect .moe will truly be the most fun and unique namespace on the Internet!